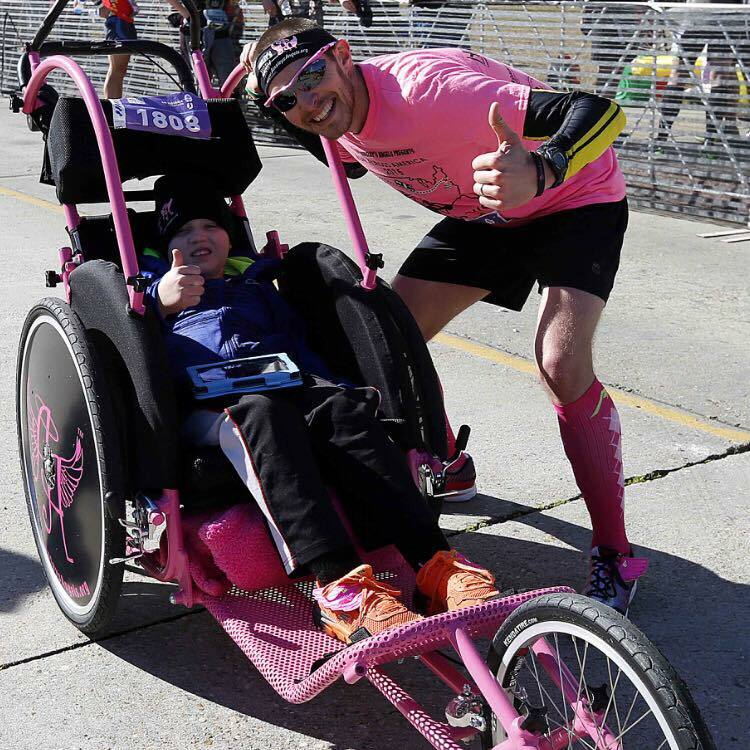 Camp Korey is proud to welcome fellow SeriousFun Camper, nine-year-old Shamus and his father Shaun to the Seattle region this July as they kick off their 3,205 mile run across America. Like our Team Korey athletes, Shamus and Shaun like to make each mile count. Team Korey is dedicated to raising funds and awareness for Camp Korey through athletic events. Shamus and Shaun plan to raise awareness for Ainsley’s Angels, a nonprofit that helps those with disabilities join in endurance events. 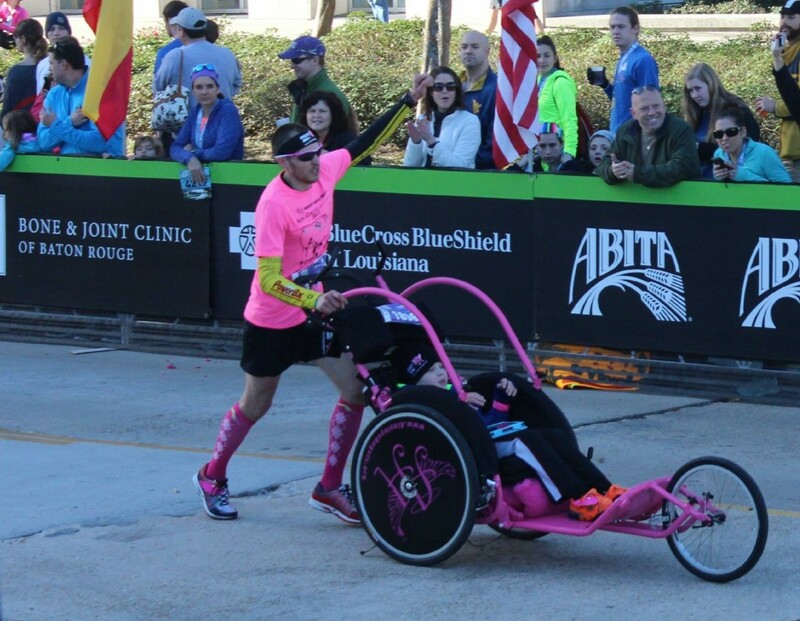 Team Evans’ goal is to use the transcontinental run from Seattle to New York City as a way to promote inclusion and provide the gift of mobility by bringing running chariots to families in need. Shamus will start with his feet in Puget Sound, before getting into his own race chariot. The 50 mile a day, 65-day run planned for this summer was Shamus’ idea, and the Evans Family has diligently been training, planning, fundraising, and preparing for the epic journey for the past 18 months. Shamus’ younger brother, Simon, and mother, Nichole, will be the support crew for the duration of the run. For Shaun, taking this journey with his son is another way of demonstrating that anything is possible. Shamus was diagnosed with cerebral palsy at 10 months old, and although Shamus uses a wheel chair as his primary means of mobility, he and his dad train and compete together. “Dream BIG” is their catch phrase. The Power 2 Push team is led by ‘Coach’ Shamus, and has a history of not only running a lot of miles together but even WINNING ultra-marathons. In 2013 they won a race by completing over 45 miles in 6 hours. The following summer they defended their title at the same race by running over 50 miles! Coached by Shamus, Shaun provides the leg power while Shamus’ inspiration, spirit, and smile pull the team forward mile after mile. We invite our Camp Korey community to follow along and support Shamus and Shaun this summer. Team Korey athletes are invited to join in and keep them company as they run through our local neighborhoods. Their journey will begin on July 4 and you can track their progress at www.facebook.com/power2push. Learn more about their mission at www.ainsleysangels.org/powertopush. This entry was posted in Team Korey. Bookmark the permalink.